In the lush and beautiful East Bay foothills is Orinda. Just east of the Caldecott Tunnel and nestled next to Moraga, Berkeley and Lafayette and nearby Walnut Creek, Oakland and San Francisco, Orinda is a premier and desirable community. It’s rustic and natural setting yet close proximity to the metropolitan epicenters of the Bay Area make it a truly wonderful and quintessential Bay Area destination. Ranked the 2nd most friendly town in America by Forbes, Orinda stands out among its neighbors as far as livability is concerned. For any exploration of the Bay Area, Orinda is a must visit town. Surrounded by an incredible network of parks and trails perfect for hiking Orinda is every outdoorsman’s dream. The small yet jam packed downtown has a plethora of restaurants and bars that are great for a night out on the town with friends. Alongside delicious restaurants and bars, Orinda is also locally acclaimed for it’s contributions to the Arts. Most notably CalShakes – the California Shakespeare Theater operates year round in the Bruns Memorial Amphitheater. This incredible amphitheater really is the jewel of Orinda – adorning every performance with trees and beautiful hills. With Orinda’s incredible weather year round this makes every performance at CalShakes something truly special. Here at Apex Limousine Transportation we are proud to offer residents and visitors of Orinda alike our limousine transportation services. Our luxury fleet of SUVs, sedans and limousines are available for nearly any occasion. One of our specialties are comprehensive wedding limousine transportation services. We understand how difficult and daunting the task of planning a wedding can be. For this reason we work directly with couples, families and wedding planners to ensure that no matter what your wedding will look like our drivers perfectly compliment this special day and really make it something you will never forget. 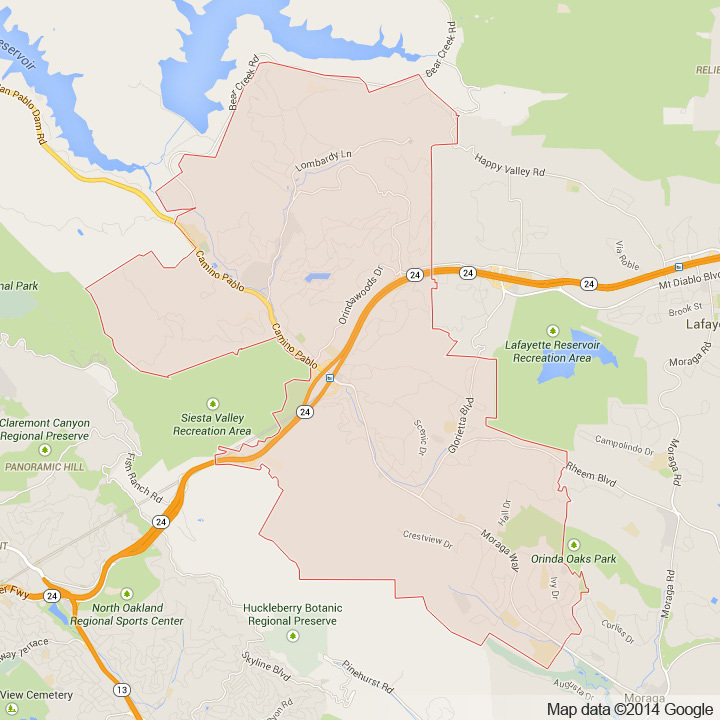 We know that Orinda is renowned in the Bay Area for having excellent academics. Area High Schools are some of the best in California and the nation. We are excited to be able to provide our services to the parents and students of these incredible schools for junior prom and senior ball. Our limo drivers always ensure the safety and well being of students first in our limousines, SUVs and sedans. We are favorite among parents and students alike for always making sure students get home safe and have the greatest time in their life. For those Orinda residents who need a timely and prompt pick up or drop off from either SFO, OAK or SJC we also offers airport transportation no matter what time of day. If you are looking for something a little more adventurous Apex is also offering Napa Valley Wine Country Tours. These tours are among the most comprehensive in all of Northern California. One exciting thing about enjoying a Napa Valley Wine Country Tour with Apex is that our limo drivers are knowledgeable about the region and are able to help customize an excursion to the region that fits the tastes of you and your party. Whether you want to take that special someone or take a party of 8, we can accommodate your desires and make your experience in the Napa Valley Wine Country one you will never forget. There is a reason we are Orinda’s number one luxury limousine transportation service provider. Our commitment to YOU is what sets us apart from others. No matter what the occasion give us a call and we will sweep you off your feet in luxury. Please call us for car service all inclusive total for Orinda to/from Napa Valley transfer.